Love. It’s a word that gets thrown around a lot. We use it all of the time. I personally, love peanut butter. I love springtime in Pennsylvania. I love quoting movies and having someone else respond with the very next line. But true love, the kind that creates a deep longing for contact, the kind you can feel deep inside your core, the kind you share with someone on a subconscious level, is rare. It’s something that many people go an entire lifetime without feeling. I have been in love three times in my life. First with my long time college girlfriend and second with my first wife. Both of those loves were deep and true. I missed them both deeply when I was away from them, longed for their touch, and would have given my life for either of them. In fact, I still love them both today, in a non-romantic way of course, but love never really goes away. It just changes. However, it was my third time, with Keira Kristine, that I believe I transcended the love that most people experience. Keira and I met through Facebook very shortly after I created my account and began exploring the community as my true self and building friendships. I vividly remember when I first saw her account and being awestruck by her beauty. The fact that she was “only in Erie” (being a non-native Pennsylvanian, I had no idea how far Erie was from me) excited me because maybe we could become friends off of Facebook and hang out sometimes. I sent her a friend request, which she accepted pretty quickly. I was truly most drawn to her writing, as I know many of her friends were. Her honesty and point of view was something that the entire community could relate to. I believe that many people found inspiration in Keira’s words, just as I did. For a while, our interactions were limited to occasional comments on each other’s posts until one day I sent her a message. Having kids around the same age (her oldest daughter and my son are separated by just a couple months in age) I was struggling with what to have my children call me; so I reached out to Keira to see what her daughters called her. The answer was Mads. Kind of a combination of mom and dad, but also due to the fact that when Keira first came out she went by the name Madison. (I’m so glad she settled on Keira. The name really suited her.) From that point on, we messaged each other daily. I found myself anxiously anticipating each notification that she’d messaged me and think that she did too. It was an interesting period in our relationship. We were both clearly aware of each other’s interest, though we didn’t express it except through subtle flirtation. Our messaging progressed to occasional video messages, something that Keira often avoided from others. Somehow, I knew that she would accept it from me however. At the time, we were both struggling with the end of our marriages. She had just moved out and the tension in my home between my ex-wife and I was thick enough to cut with a knife. We both would support each other through that and developed a kindred spirit over our experiences. In early June, she had a particularly horrible day as she was trying to get her surgeries scheduled for the year anniversary of starting HRT (ever the sprinter that she was) and was denied. She found herself in a really dark place and called me. We chatted for hours, into the early morning of the following day. It was that night that we came clean to each other and expressed our true feelings and made it official. We still hadn’t ever met each other at that point. A couple of weeks later, I made my first visit to Erie. The five hour drive was full of excitement and anticipation. When I arrived, Keira was still at work, which was good, because I had driven up in boy mode and changed in my car. Shortly after, Keira arrived, presented me with my first bouquet of flowers and planted our first kiss on my lips. The moment was surreal and tattooed on my soul. I will truly never forget that moment. The remainder of the summer included multiple drives to Erie for me and a number of drives to Myerstown for her. Each visit went much too quickly. In between, we spent hours Skyping with each other, sometimes just staring into each other’s eyes in a silence that was never awkward. 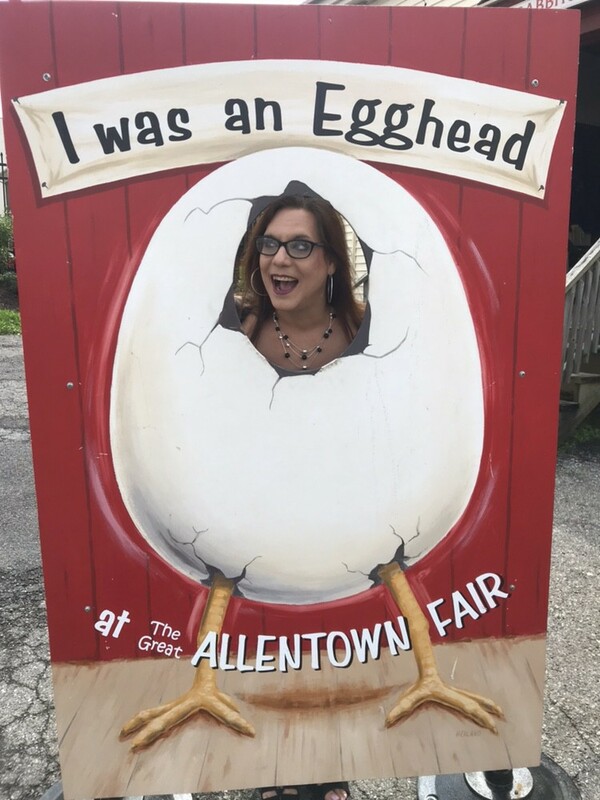 We spent Labor Day weekend in Allentown, celebrating her 45th birthday, introducing her to some of my friends, and just enjoying time together. It was only a few days, but we fit so much into that time. That was something the two of us were great at, fitting 36 hours of activity into an 18 hour period. We then went months without seeing each other. My mom and I drove to Erie to celebrate Thanksgiving with Keira, her mom, and her daughter. It was a wonderful, relaxing day; but it became one of the greatest days of my life when she completely blindsided me with a proposal. I never thought it would happen to me, but I had an amazing fiancee and we were ready to begin planning our life together. A few months later she made a drive to my house with her oldest daughter to finally meet my children. It was my birthday weekend, and in typical Keira and Sarah fashion we fit a week’s worth of activity into a short weekend. 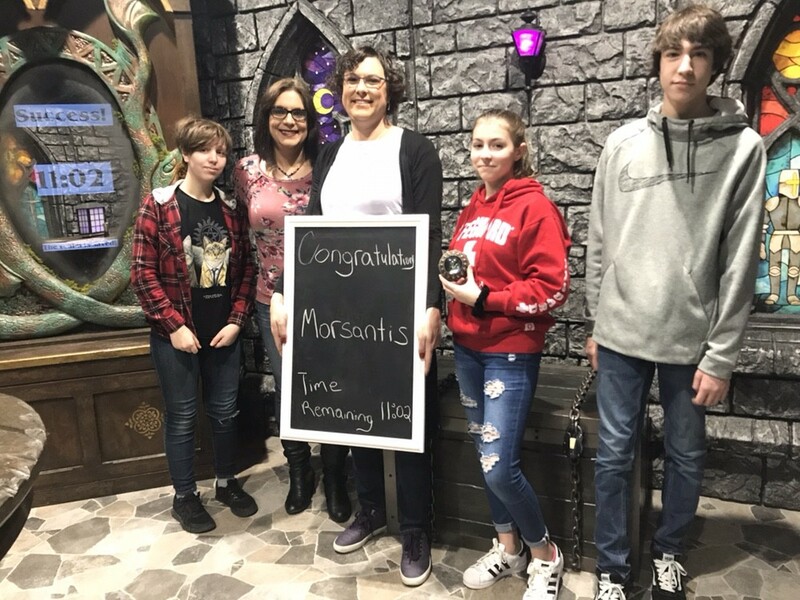 We did an escape room together, which I think went a long way towards combining our two families. The next time we saw each other was our time at Keystone. We were so excited to be there together and spend time with what Keira described as “our people”. The time there was absolutely one of the high points of our relationship to me, which is what made the weeks that followed so much more difficult. I’m not going to highlight that here, because for one, I’m not ready to relive it, and secondly, I want this blog to be more positive. We’ve all cried enough in the last few days. My relationship with Keira was based on honesty, mutual respect, and shared experience. 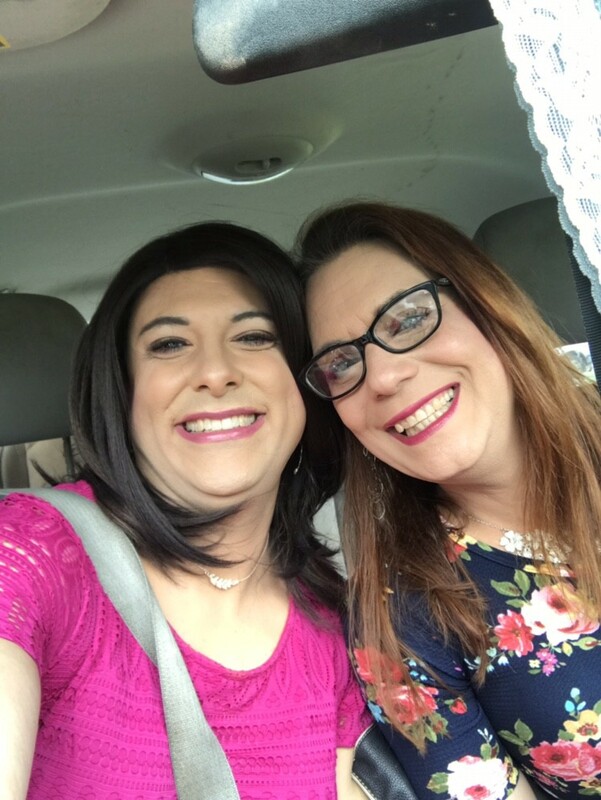 Dating another transwoman allowed us both to understand the struggle of being ashamed of who were were, angry and confused about our needs, and our shared methods of coping with it. During every other relationship that she and I had prior to meeting each other, we harbored a huge secret that we just couldn’t share with the people we loved the most. Between Keira and I there were no secrets, only understanding. 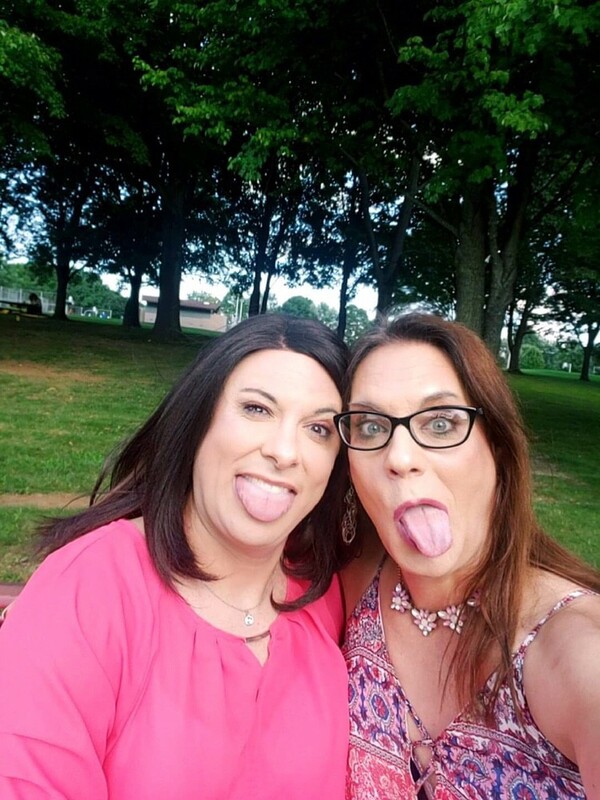 The love that we shared, the joy on our faces in our pics, the aura of happiness that emanated from each of us when we were together, was the result of the freedom we each felt to be ourselves, not simply as transgender women, but as human beings. I hope one day, everyone can experience a love like that. We all deserve it. Transwoman, wife, daughter, parent, advocate, lover of life. I’m a woman of many labels, but beyond definition.